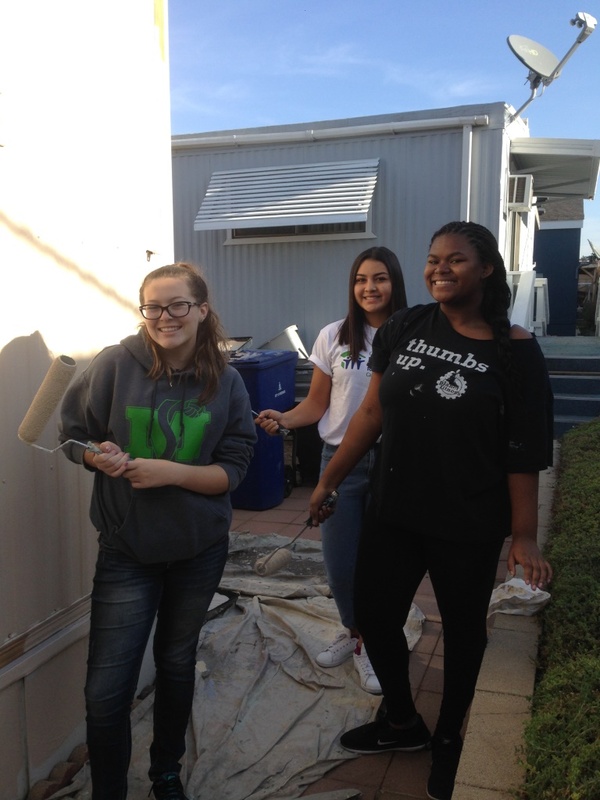 On Saturday, December 2nd, 2017, students from Centennial High School and Ramona High School’s Habitat for Humanity Campus Chapters teamed up alongside Mujeres Unidos of UC Riverside to assist in a home preservation project. 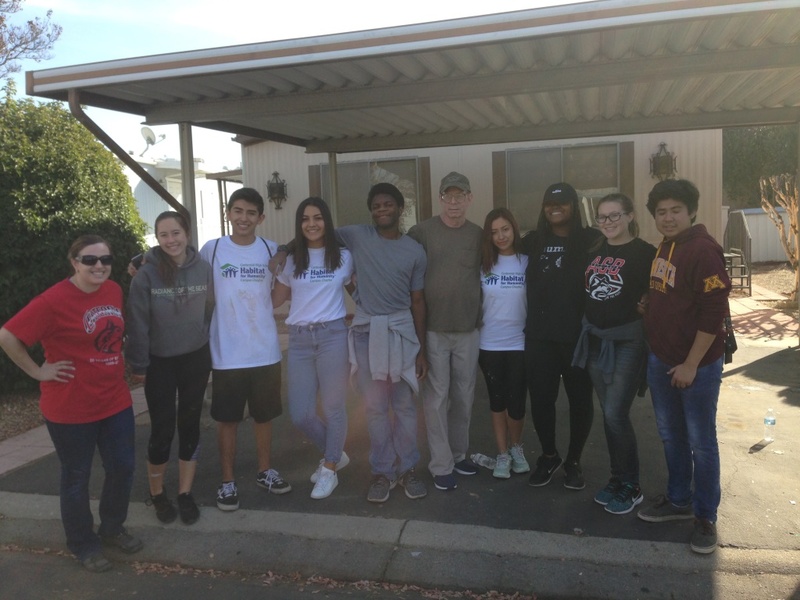 The project was done for Jerry, a senior resident of Mission Village Mobile Home Park. Jerry’s home has not seen fresh paint since its construction in 1971, and was in need of a makeover. 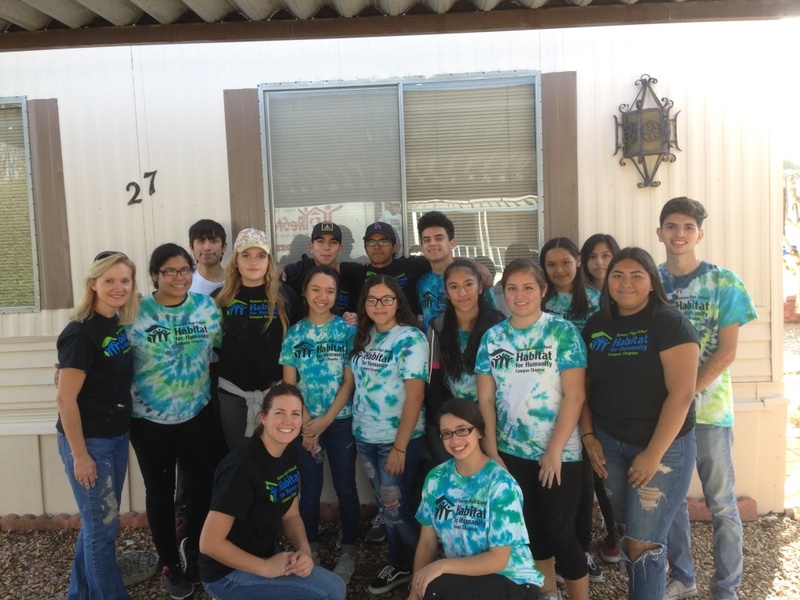 These students have volunteered with us many times in the past so they knew the drill. They showed up on time with waiver forms in hand, ready to start painting. They split themselves into little groups and surrounded the home, dividing sections among themselves. They divided and conquered. After a short three hours, the entire home sported a fresh coat of paint. Jerry stepped out to take a look and was amazed. He could not believe how different it looked from that morning. He explained to the students that his home has not seen new paint in over 30 years. He could not stop smiling and thanking them. 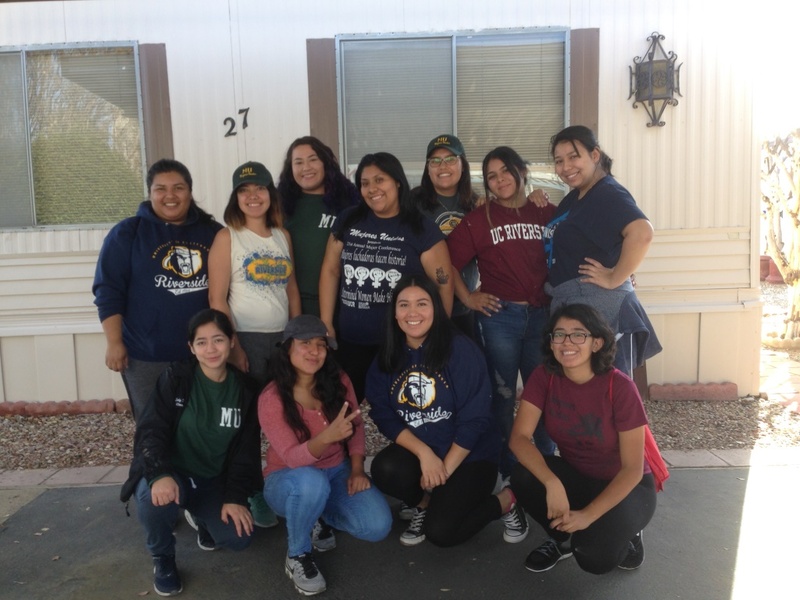 A big thank you to all of the students from Centennial High School Campus Chapter, Ramona High School Campus Chapter, and UC Riverside Mujeres Unidos for volunteering their time to Habitat for Humanity Riverside! 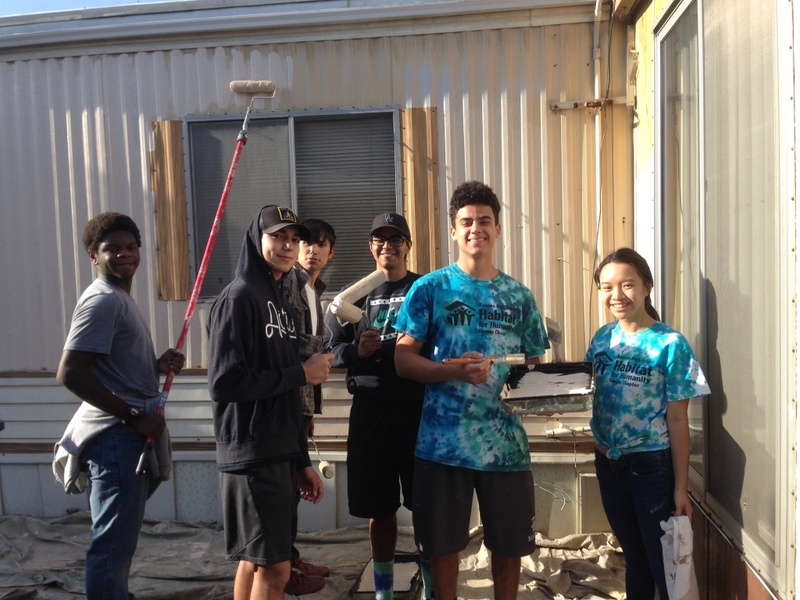 Together, these volunteers are changing the community, one home at a time.